Christine Neary's husband and killer was sentenced at Manchester's Crown Court today. 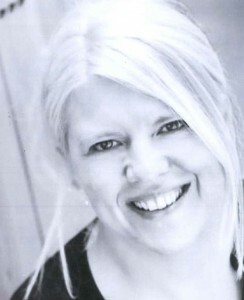 James Neary, known as Jimmy, 46, of Moston pleaded guilty today, Friday 21 April, to the murder of his wife Chrissy. The killer has been sentenced to life in prison and will serve a minimum of 12 years. Jimmy murdered his wife earlier this year. Shortly before 1pm on Saturday 28 January, police were called to an address on Kinver Road in Moston to reports that the body of a woman had been found. Officers attended and the body of Chrissy Neary was found. The couple had recently split up, with those closest to them believing that Jimmy took the break-up particularly badly. On the night that he murdered Chrissy, Jimmy returned to the house they shared and during an argument, strangled her to death. Jimmy was found the next day sleeping in Chrissy’s car in a carpark in Failsworth and arrested. Chrissy’s family gave a statement following the sentencing: “Our family is devastated by the loss of our mother Chrissy. She was the glue that held the family together. “Not only was she a wonderful mother to Abbey, Ryan and Ian but she had four grandchildren who adored her. She was also a loving sister and friend. “As a family, we will never be able to comprehend what happened to our mother. Family life as we know it will never be the same again." “Our mother was an inspirational woman, not only in her personal life, but in her working life. She had worked hard to better herself and we will never know what our mother could have become. 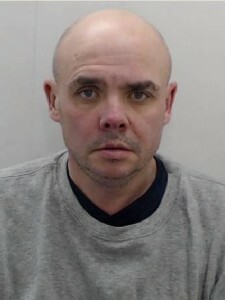 Senior investigation officer Duncan Thorpe from GMP’s Major Incident Support Unit, said: “Jimmy Neary will spend at least the next 12 years behind bars with the knowledge that he killed the woman he loved and ripped his family apart. “My thoughts are with Chrissy’s children, grandchildren and all who knew her. I cannot imagine what they have been through. For more information on domestic violence, whether you are a victim, friend, family member or neighbour please visit: www.gmp.police.uk/domesticabuse. To contact your local domestic abuse unit call the GMP switchboard on 101. In an emergency where there is an immediate threat to life or property always call 999.